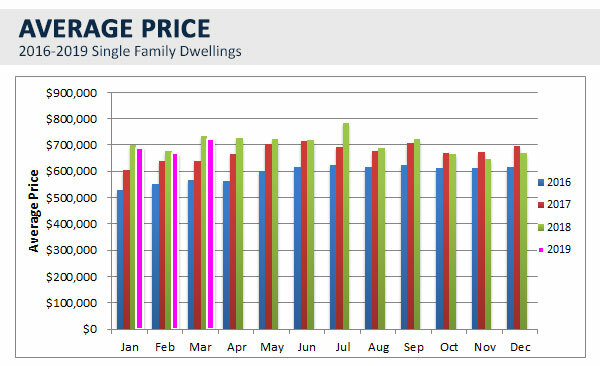 Strata’s continue to outperform Single Family Home sales this spring, but the average price continues to hold steady. To date, we are seeing prices in line with a year ago. Single Family Homes – ouch! March 2019 was the slowest March in 10 years, and only marginally better than in 2009. The saving grace is that there is only 60% of the listing inventory compared to 2009, so competition isn’t as fierce. 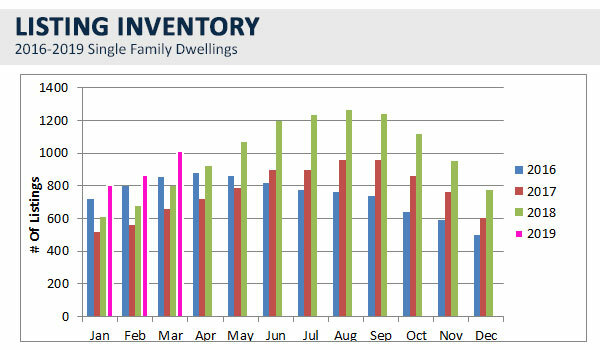 Forecasting out, April is looking to be back on track with 2012-2013 sales numbers as we previously were. We suspect this blip is due to the extra long winter and lingering snow. Townhomes had an excellent month, outperforming all other segments for salesand placing them back into a balanced market. 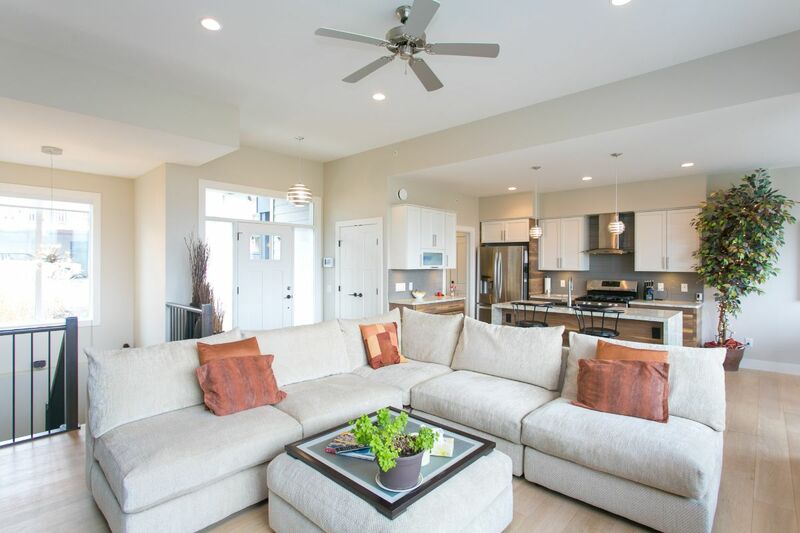 The substantial increase in listings is nothing new for townhomes with all of the new construction. Apartment/Condo sales are still over the 10 year average and in line with 2015 numbers. Same for listing inventory, in line with 2015 and under the 10 year average which is good news. This is typically a lagging indicator, and as new construction comes online, we expect this segment to slow this year. Residential home sales in the region totaled 1,727 in March 2019, a 31.4 per cent decrease from the 2,517 sales recorded in March 2018, and a 16.4 per cent increase from the 1,484 homes sold in February 2019. Last month’s sales were 46.3 per cent below the 10-year March sales average and was the lowest total for the month since 1986. 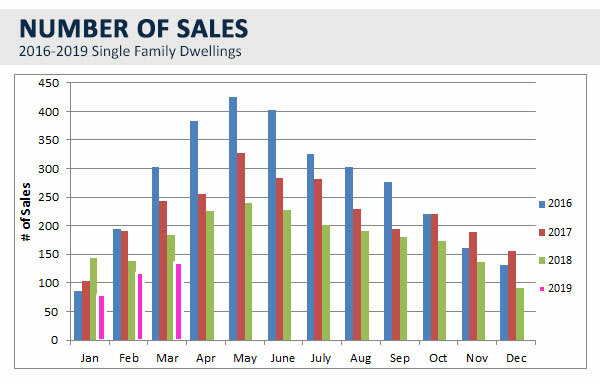 March saw a modest decline in city wide sales activity compared to last year. However, sales have been rising for more affordable product in the detached and attached sectors. Shifts in the lower end of the market have not outweighed easing across the higher priced product. First-quarter sales dropped to 3,108 units. This is 9% below last year and 28 per cent below typical levels of activity. 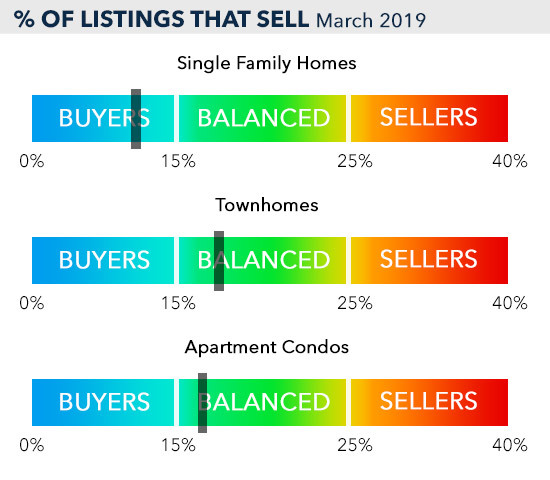 When compared to February 2019, unit sales across all categories increased, with single family home sales increasing 27.84%, condo sales increasing 8.86% and duplex/rowhouse sales increasing 21.05%. Year-over-year sales are down in all major categories, with single family homes sales decreasing 12.57%, condo sales decreasing 18.06% and duplex/rowhouses sales decreasing 3.50%. 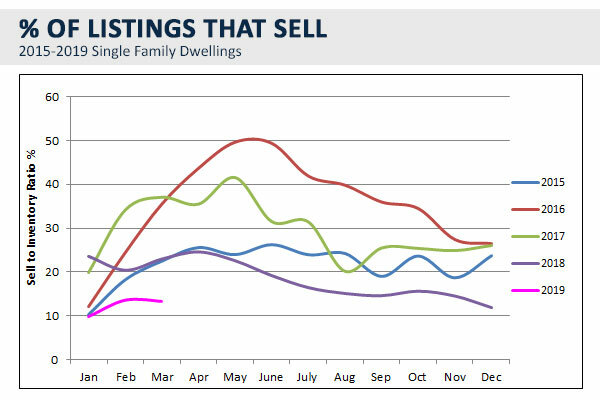 Year to date sales for all residential categories were down 13.19% compared to March 2018. This 2620sqft Semi-detached RANCHER townhome w WALKOUT BASEMENT & separate entrance boast 4 bedrms 3 Baths & an open concept w FLOOR TO CEILING WINDOWS. 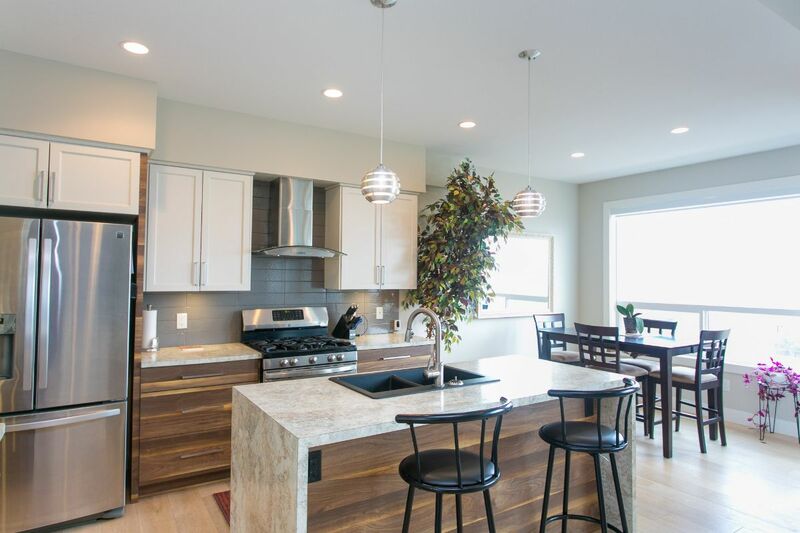 The kitchen features a beautiful waterfall island, 2-tone cabinetry and stainless-steel appliances overlooking bright living room w gas fireplace tiled to the ceiling. 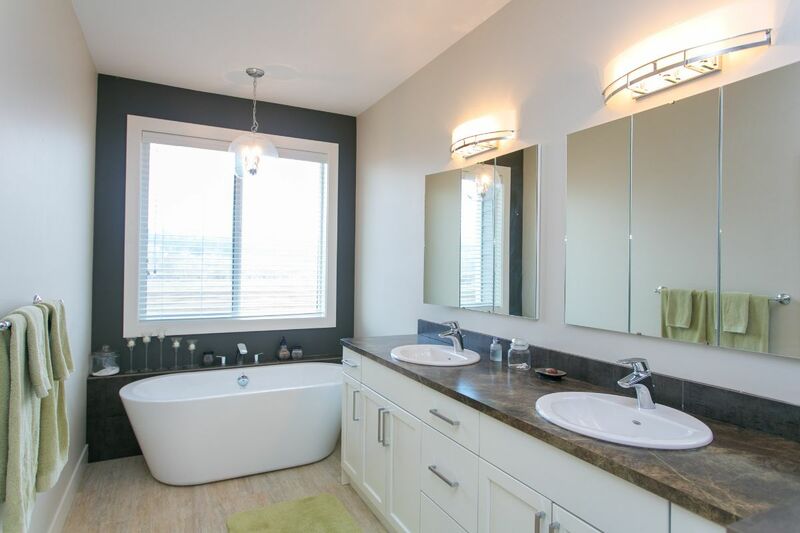 2 bedrms upstairs including master w ensuite comes w dual sinks, freestanding soaker tub, shower & private toilet. Upstairs patio (equipped w gas BBQ hookup) overlooks agricultural ALR land as well as the brand-new Rail Trail connecting you to Vernon along scenic bike lanes. Lower level is complete w wet bar & ample storage & also features 2nd fireplace in the family rm looking out onto 2nd patio w access to side garden. The unfinished room on this level is ideal to become whatever your heart desires! 3 walls of concrete would be perfect for a workshop/media room. Both bedrms downstairs include walk in closets. Equipped w both high efficient furnace & hot water tank, HVR, A/C, humidifier & hardwired for internet throughout the house. This quiet location is still close to it all! Lake Country’s Scenic Sip Wine Route is just around the corner. 15 min drive to the airport, 5 mins to all shopping, restaurants etc, 5 min bike ride to Beasley park & Wood lake. Great for the outdoor adventurer! For more photo’s or a 3D tour visit us here! Theme: Wolf Homes by Csek Creative.